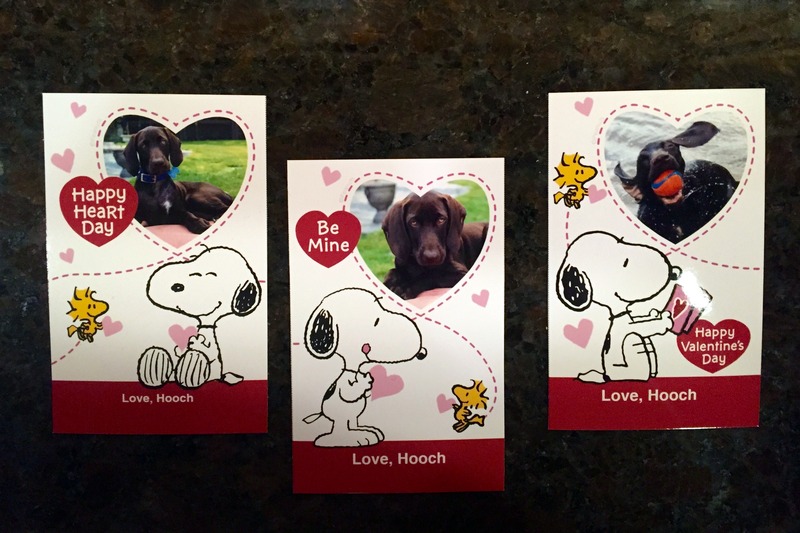 What a fun and exciting Valentines Day weekend we had! 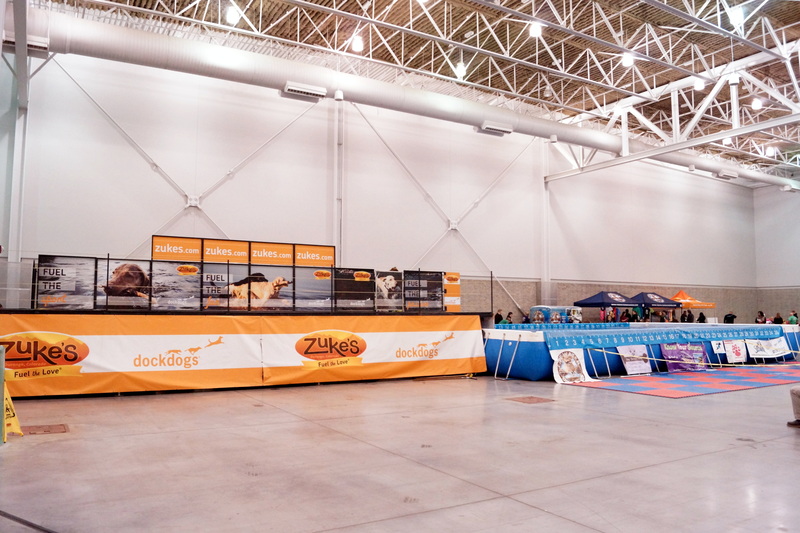 We took a 5.5 hour drive down to Hampton, Virginia, for Cello and Hooch to participate in the World of Pets Expo dock diving competition,”Lover’s Leap,” hosted by Tidewater DockDogs. 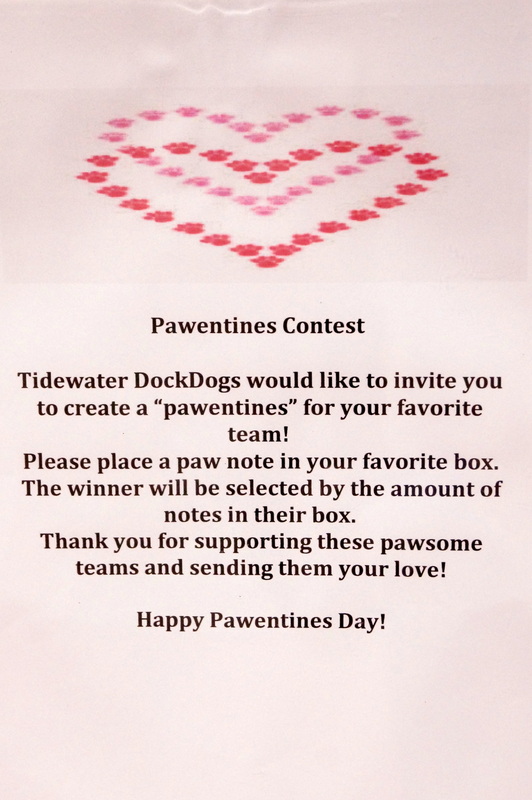 In celebration of Valentine’s Day, there was a Pawentine’s Box decorating contest. 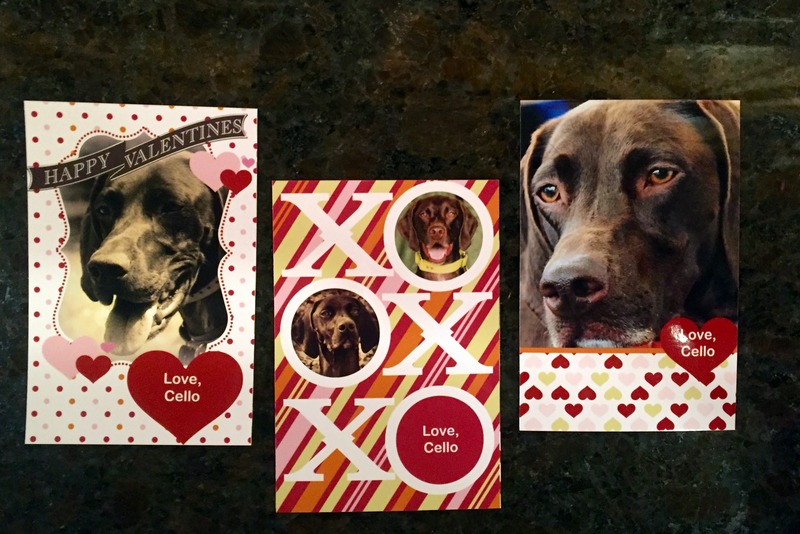 Hooch and Cello received lots of really cute Pawentines in our box! 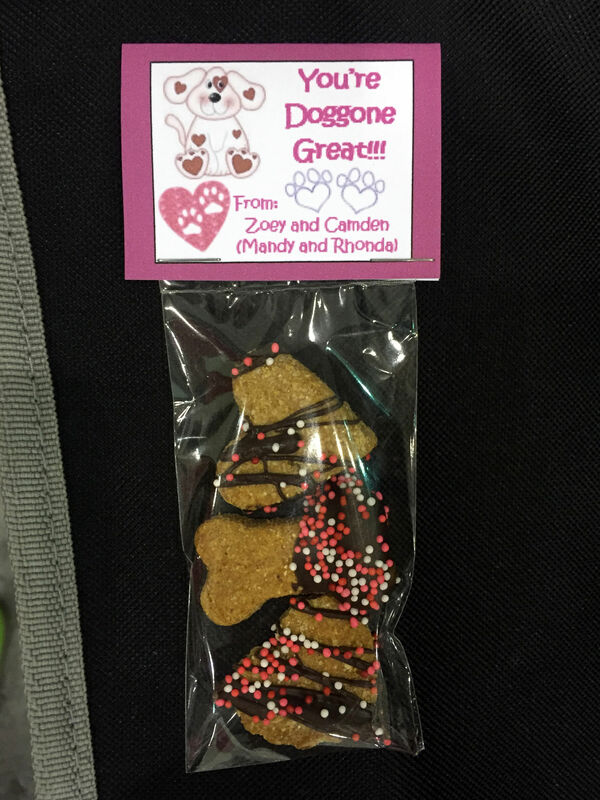 The dog treats above were homemade by our friend, Mandy. 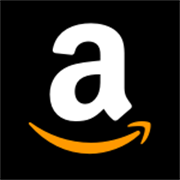 Check out her Face Book page – her cookies are AMAZING! Although Cello has not been performing up to her last season’s standards, she had a great weekend! 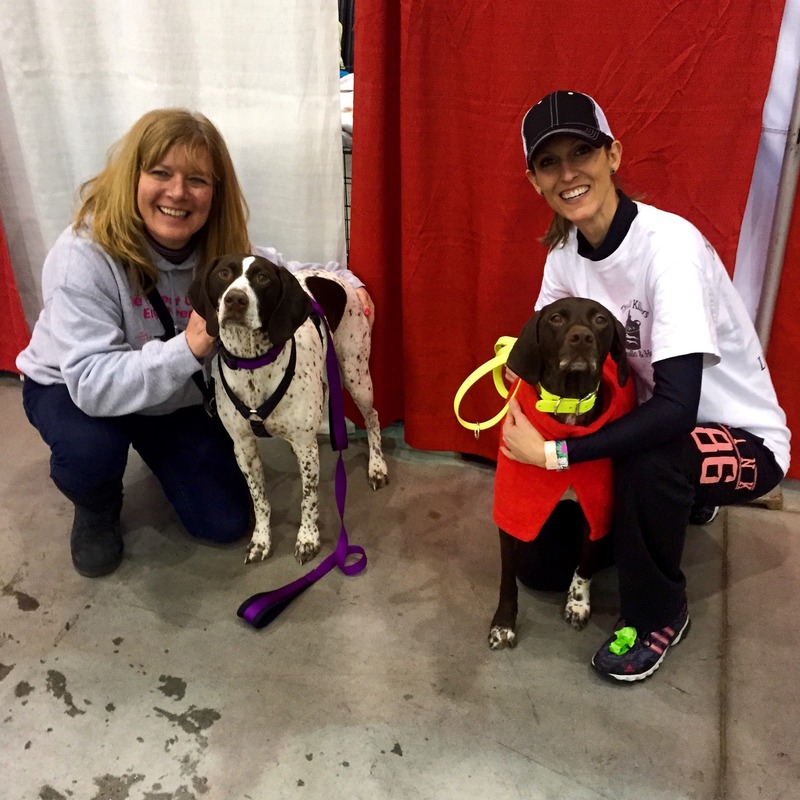 Cello competed as an Iron Dog, and participated in all three events: Big Air, Extreme Vertical, and Speed Retrieve. In Big Air, Cello’s longest jump of the weekend was 21’11.” She made the Elite Finals, and placed Third. In Extreme Vertical, She reached a height of 5’4,” and placed Third overall in the Cadet Division. 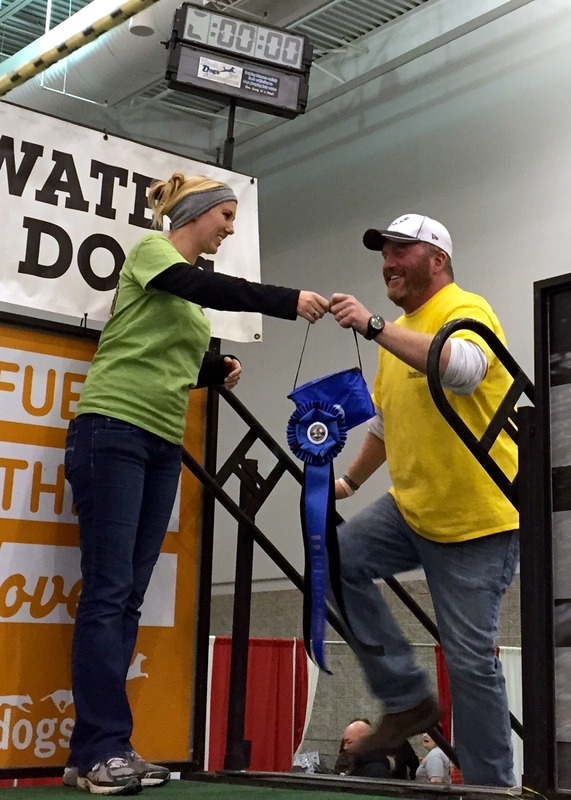 …AND Cello placed FIRST in Iron Dog in the Warrior Division! 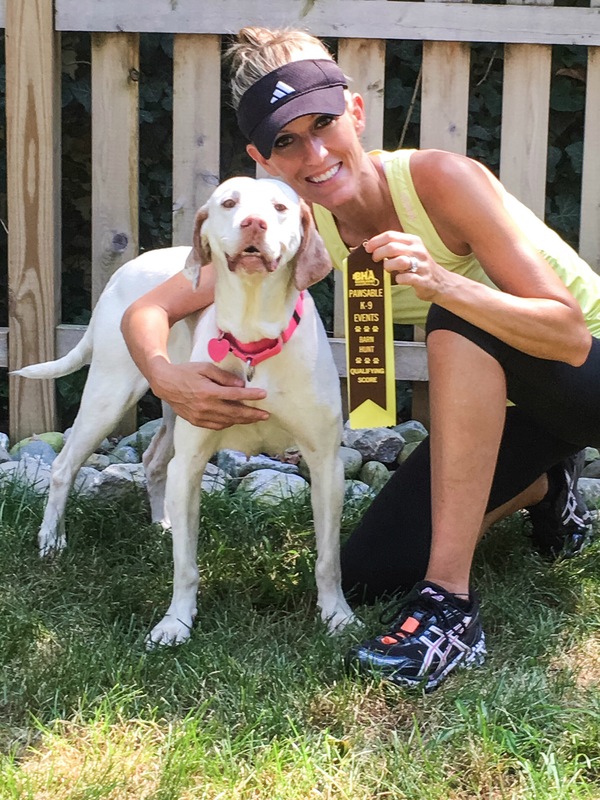 Way to go, Cello! 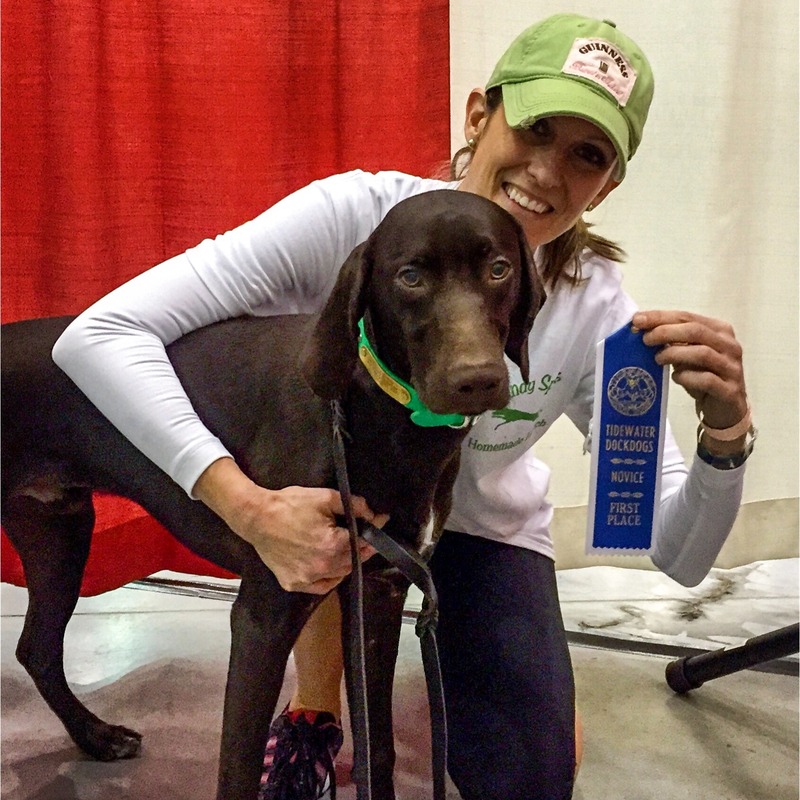 Hooch also had a BIG weekend! 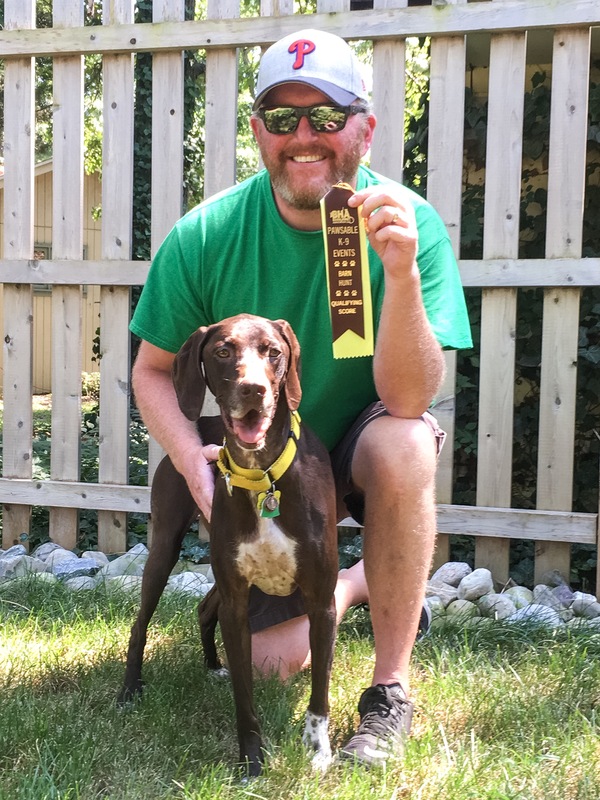 He placed in every Big Air wave he jumped in, and earned his first First Place ribbon! 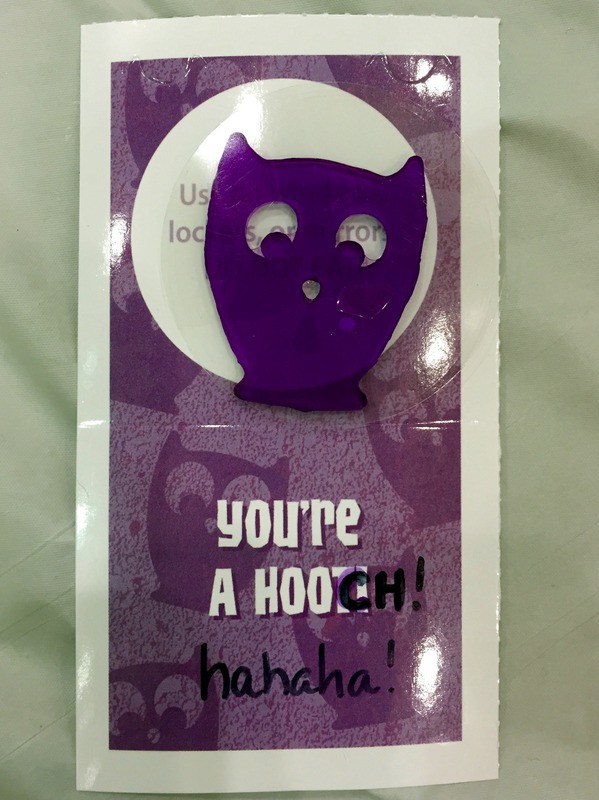 In just his second event ever, Hooch even made Novice Finals – and placed Second! 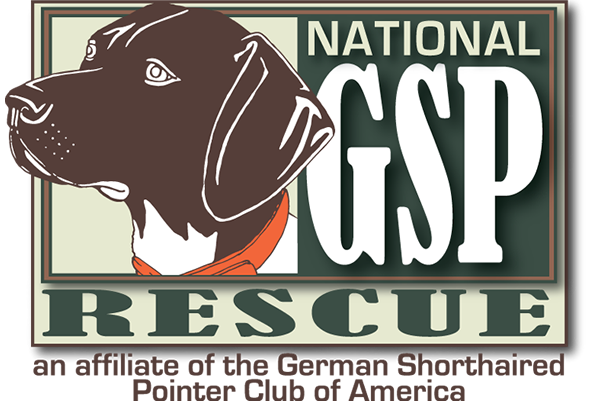 While we were there, someone recognized Cello from our Instagram account — our friends, Cyndee and Lola – – How cool is THAT?!?! 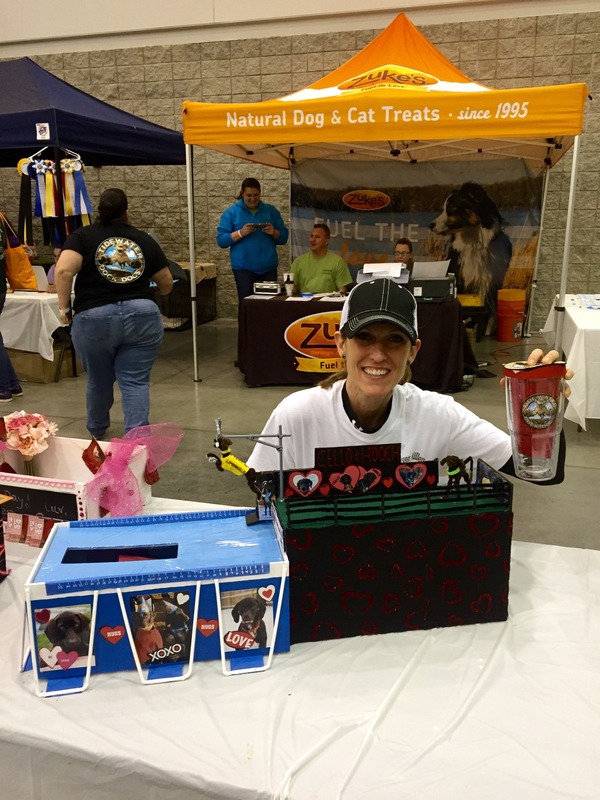 This was a SUPER-fun event, and the best Valentine’s Day weekend ever! 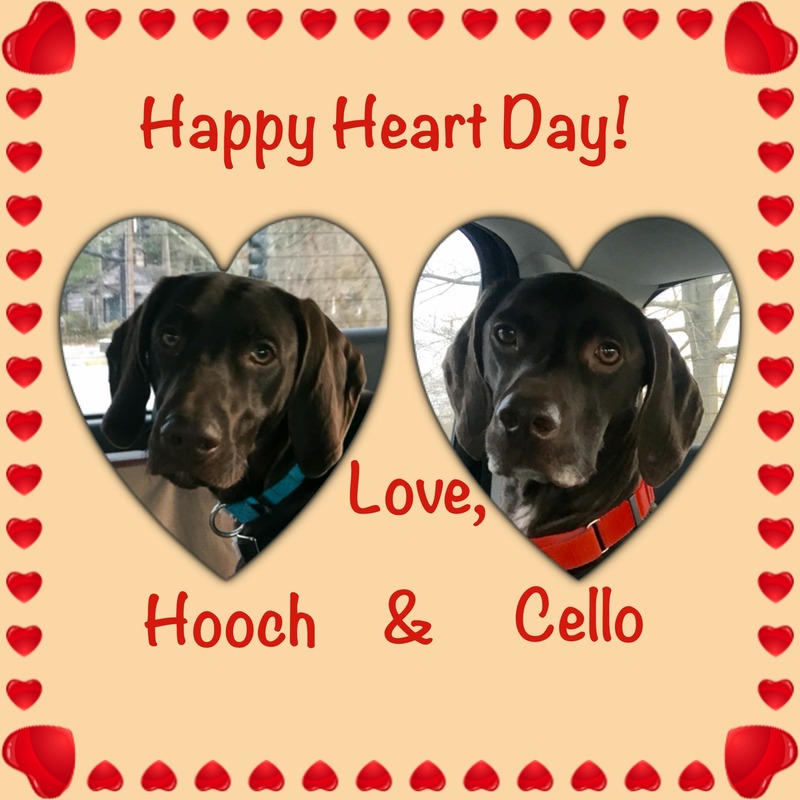 Cello and Hooch hope everyone had a great Valentine’s Day!